Miu Miu’s Resort 2018 presentation at Haute Couture Week was fast and furious, in the best way possible. 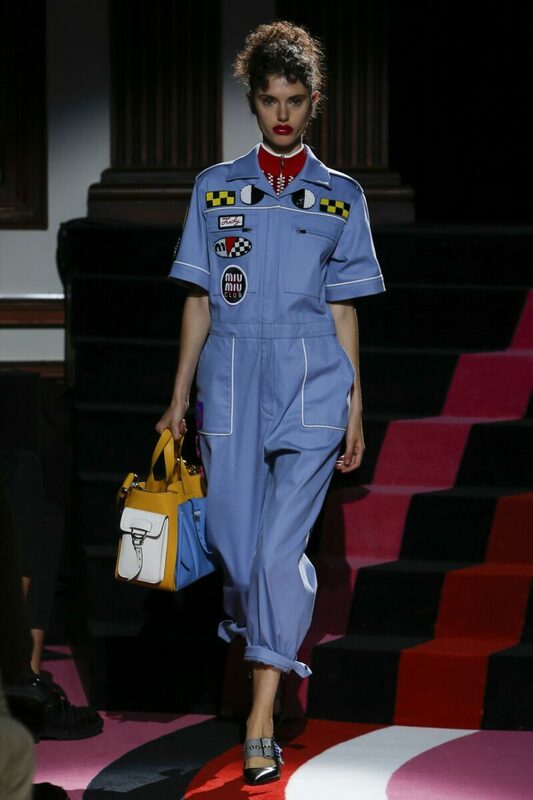 Taking place at the incredibly appropriate Paris Automobile Club, the collection took an inspiring, edgy approach to this season’s biggest garment of conversation: the jumpsuit. The show featured all of the all-star models of today; from Kendall Jenner and Joan Smalls, to Bella Hadid and Jourdan Dunn — and they all wore the vibrant, against-the-grain pieces with grace. 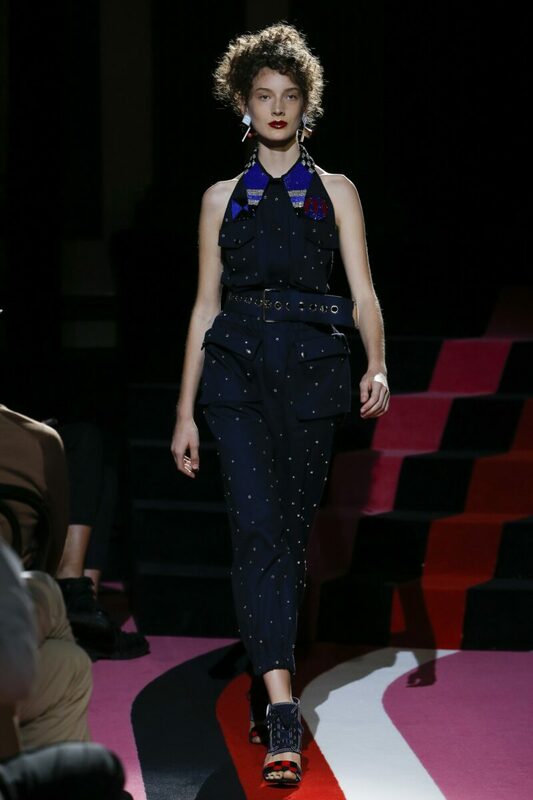 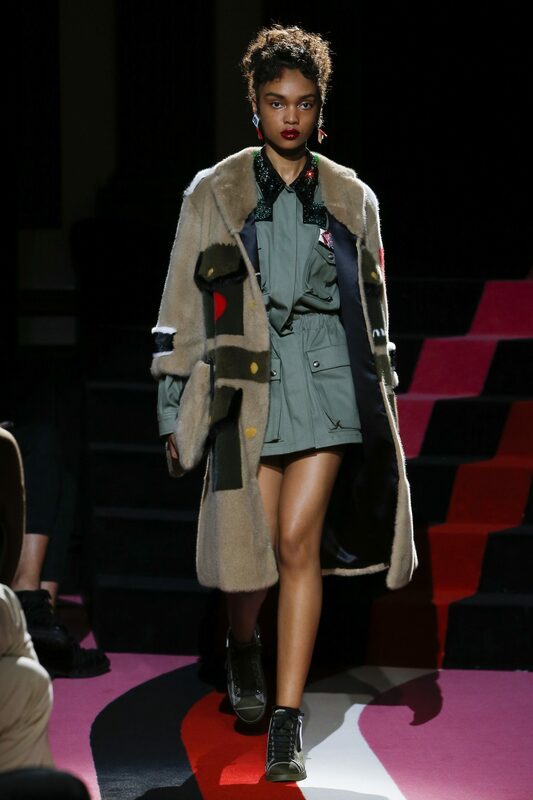 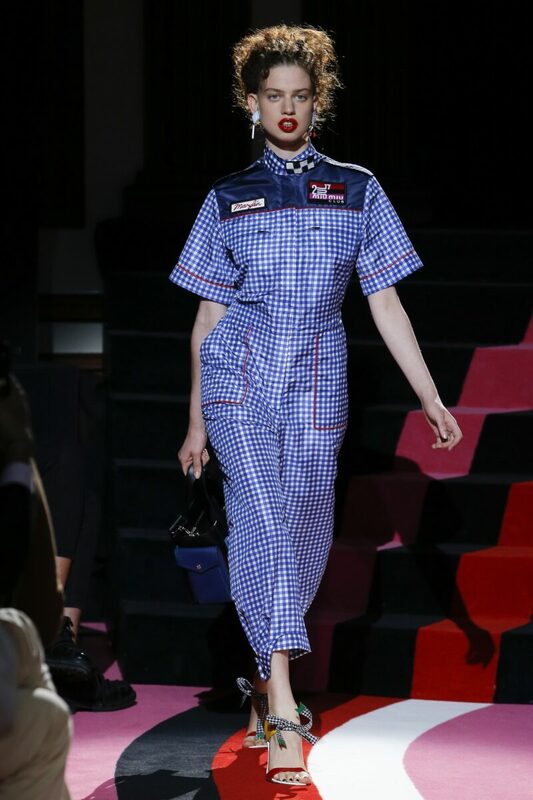 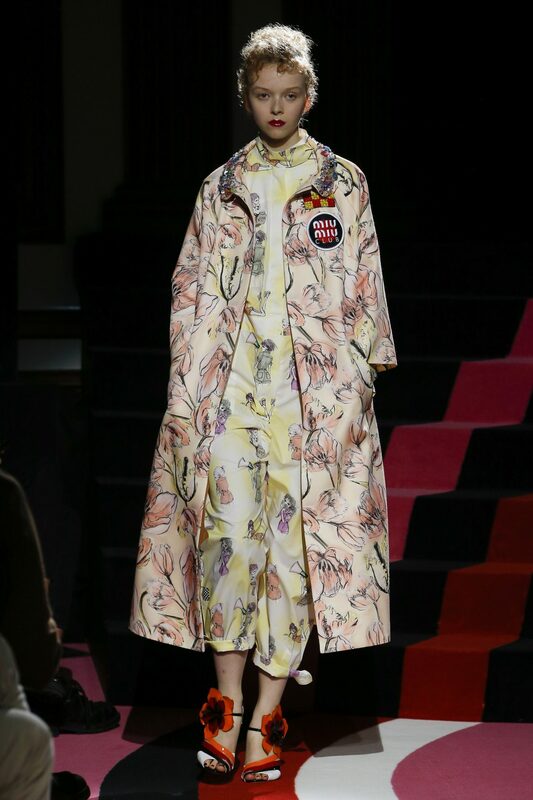 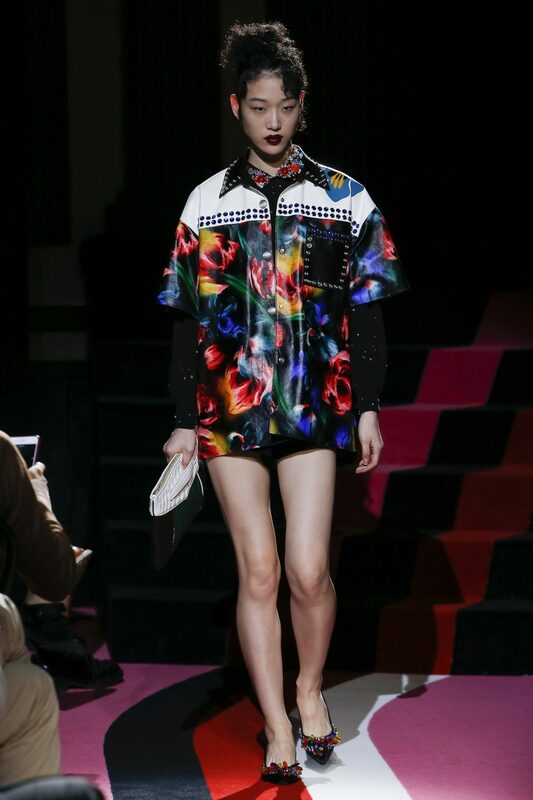 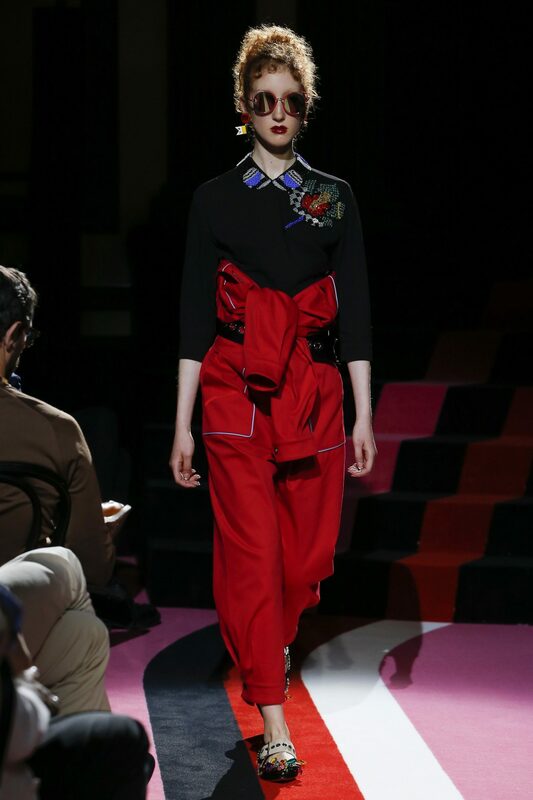 Miu Miu is well established as one of those designer labels that just doesn’t play by the rules, and they maintained that reputation impeccably with this collection. 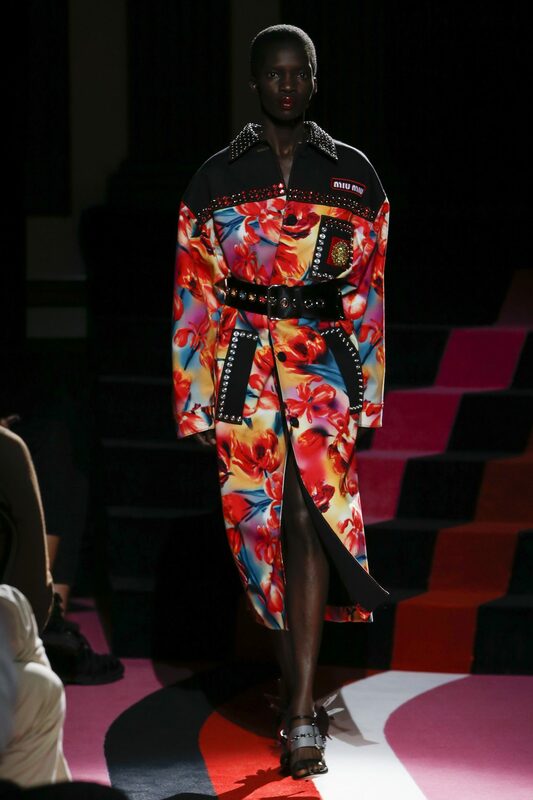 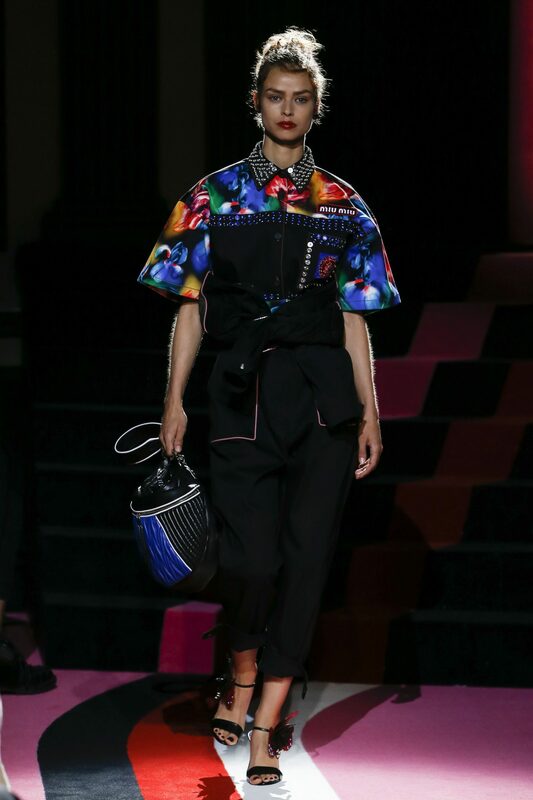 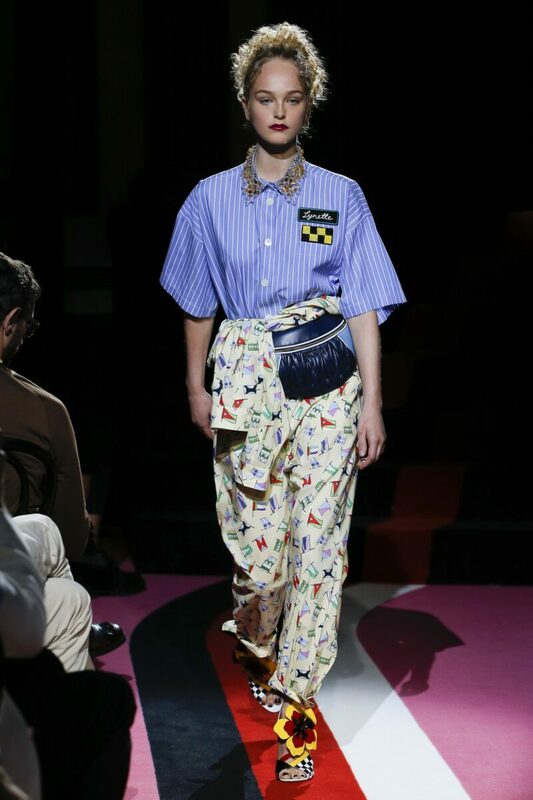 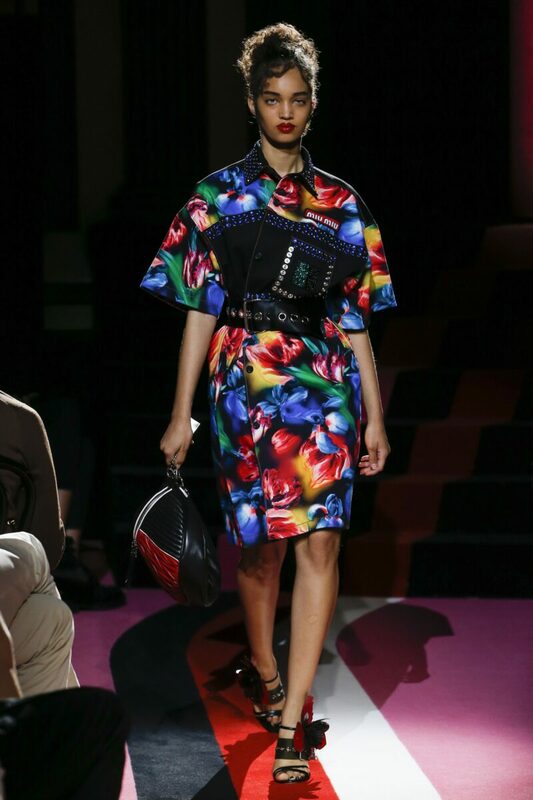 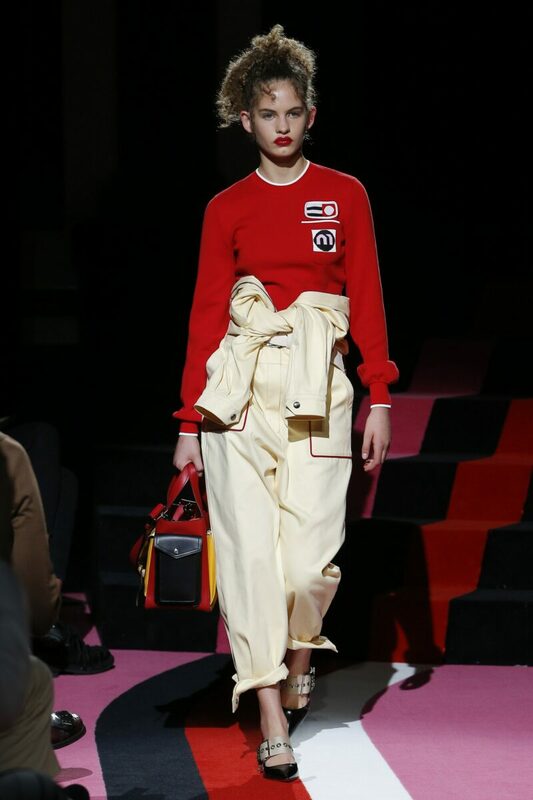 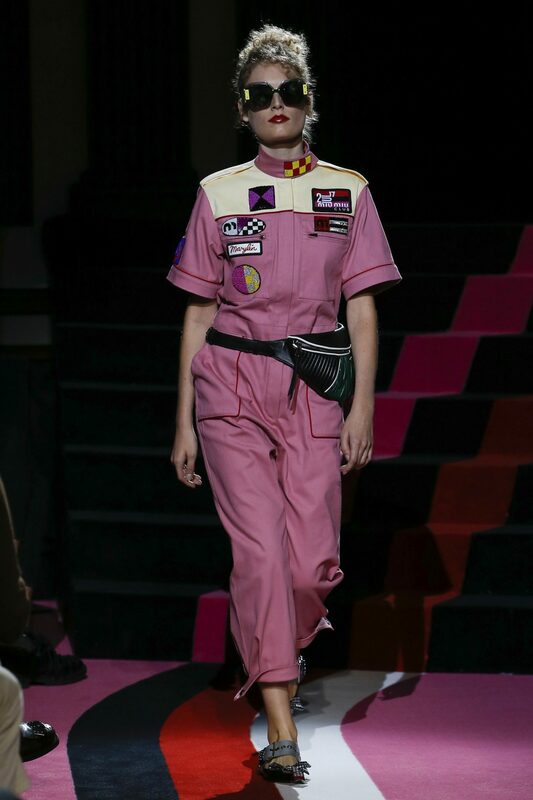 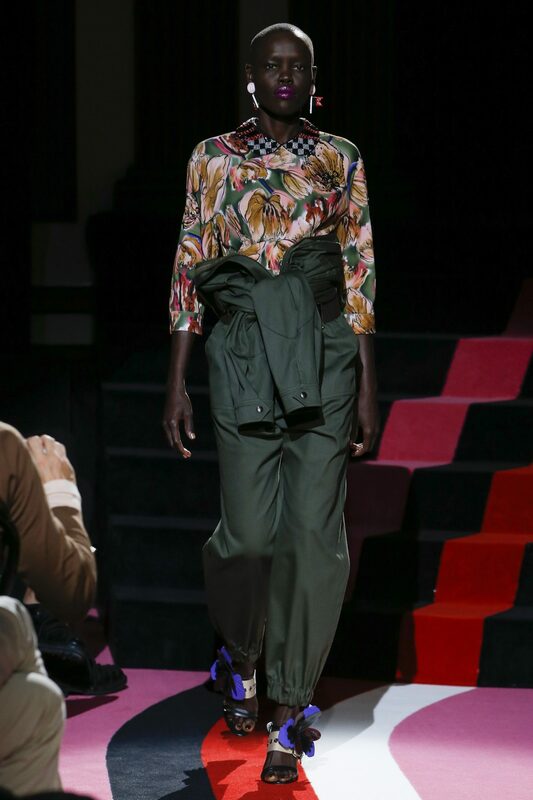 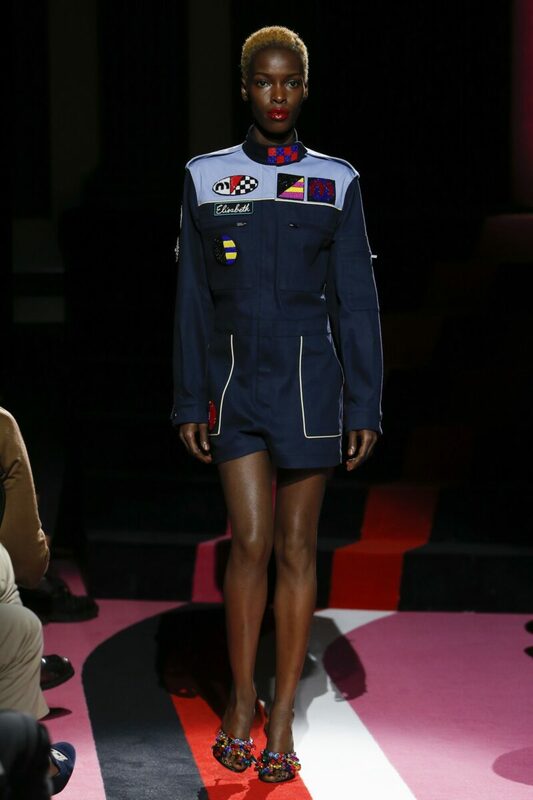 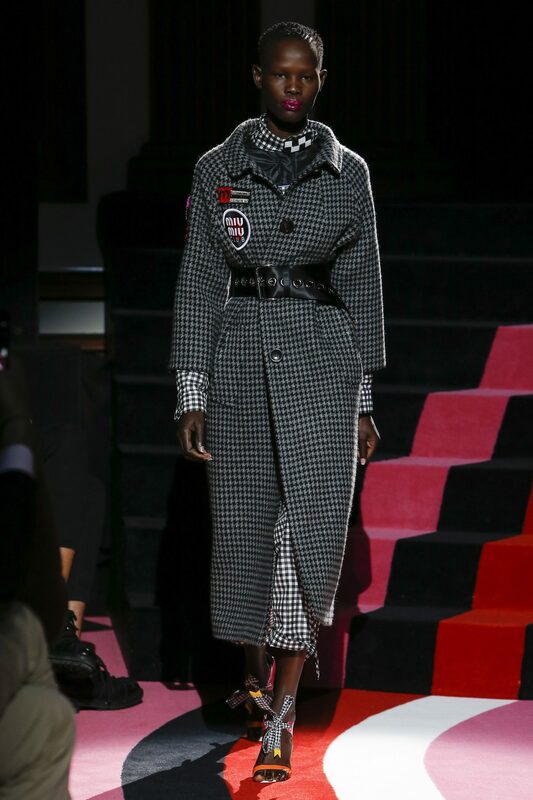 There was a full range of highlighter-bright hues, busy patterns, race-themed patchwork and even fur — yet it worked so harmoniously that you’re left to wonder how Miu Miu pulled it off. 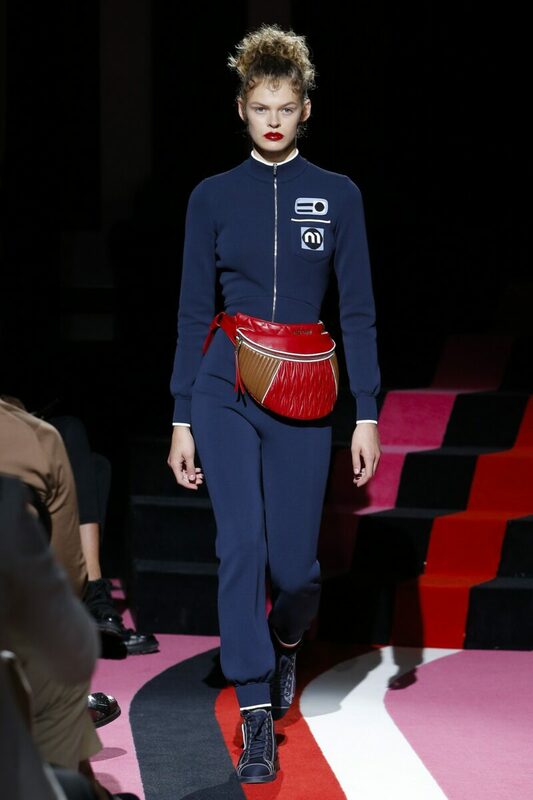 The blend of athleisure staples like snapbacks and fanny packs with luxe furs and billowy-structured pieces combined what’s in now with what’s next for the upcoming season. 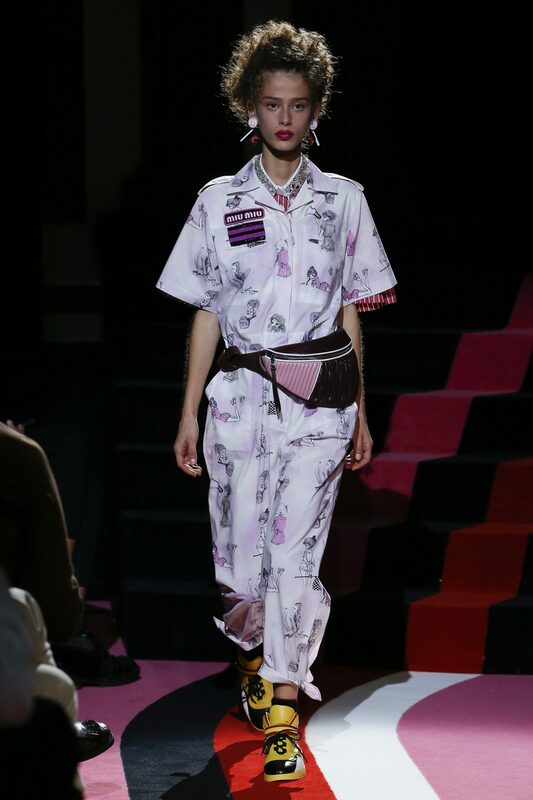 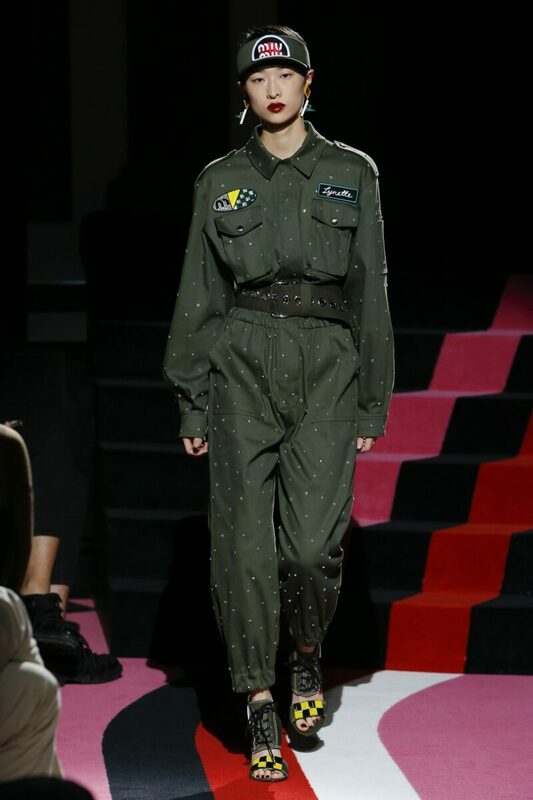 Once again, Miu Miu manages to establish itself as a statement-making brand that not only makes trends, but reinvents them. 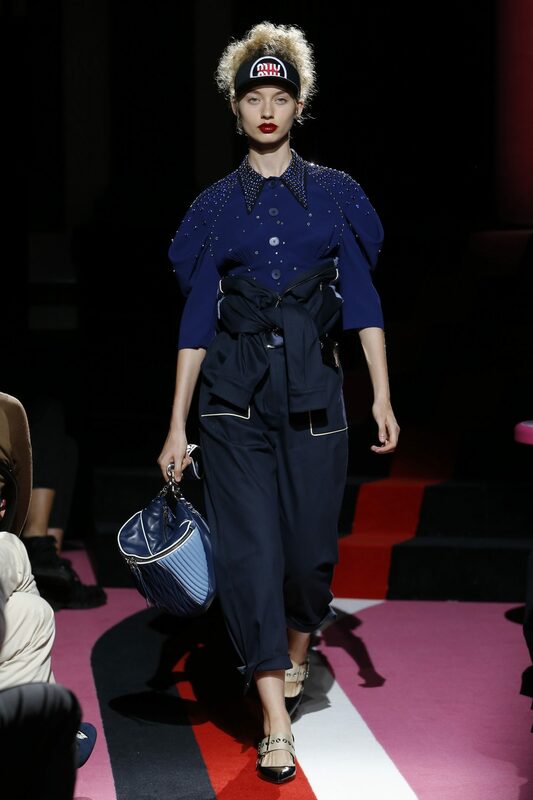 As the collection progresses, the palette changes to include more navy greens, tweeds and silk fabrics; the change was, quite literally, day to night. 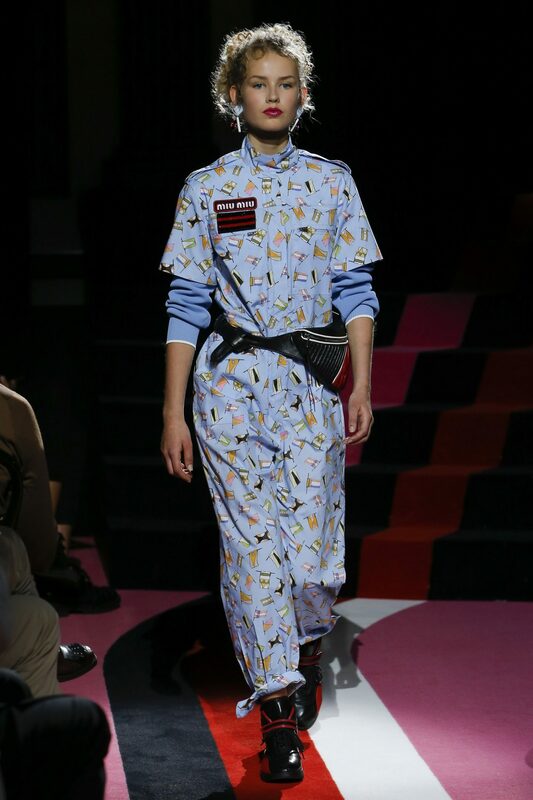 All around, this collection’s clever use of notable accents and edgy branding will make it a memorable showstopper for the season to come.